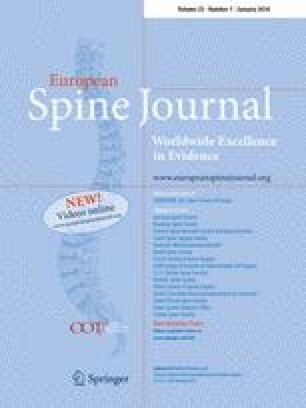 The purpose of this study was to systematically compare the effectiveness and safety of endoscopic discectomy (ED) with open discectomy (OD) for the treatment of symptomatic lumbar disc herniation (LDH). A highly sensitive search strategy was used to identify all published randomized controlled trials up to August 2014. A criteria list taken from Koes et al. was used to evaluate the risk of bias of the included studies. The five questions that were recommended by the Cochrane Back Review Group were used to evaluate the clinical relevance. Cochrane methodology was used for the results of this meta-analysis. Nine relevant RCTs involving 1,092 patients were identified. Compared with OD, ED results in slightly better clinical outcomes which were evaluated by the Macnab criteria without clinical significance (ED group: 95.76 %; OD group: 80 %; OR: 3.72, 95 % CI: [0.76, 18.14], P = 0.10), a significantly greater patient satisfaction rate (ED group: 93.21 %; OD group: 86.57 %; OR: 2.19; 95 % CI: [1.09, 4.40]; P = 0.03), lower intraoperative blood loss volume (WMD: −123.71, 95 % CI: [−173.47, −73.95], P < 0.00001), and shorter length of hospital stay (WMD: −Table 2144.45, 95 % CI: [−239.54, −49.37], P = 0.003). From the existing outcomes, ED surgery could be viewed as a sufficient and safe supplementation and alternative to standard open discectomy. The cost-effectiveness analyses still remain unproved from the existing data. More independent high-quality RCTs using sufficiently large sample sizes with cost-effectiveness analyses are needed. This study was funded by National Natural Science Foundation of China (No: 81201419). The funders had no role in the study design, data collection and analysis, decision to publish, or preparation of the manuscript.